The Bath Preservation Trust will be financed by (HLF) the Heritage Lottery Fund in order to support a project that celebrates the 250th anniversary of the Royal Crescent. HLF has donated approximately £69,200 to help support the project. This includes debates, exhibitions, community events, artworks and guided walks. The events are primarily focused around the trust’s 3 museums in the centre of the city. There are also several activities in partnerships with RIBA South West, The Natural Theatre Company, as well as Bath Festivals. The CEO of Bath Preservation Trust, Caroline Kay stated that they are pleased to have received the support of the HLF, as it will allow them to move forward with their ambitious programme of projects, exhibitions, as well as community engagement. She added that alongside their activities they hope that their leadership of the project will encourage other individuals in the town to put on their personal celebrations of the creation of art, as well as for further partners and sponsors to join us. 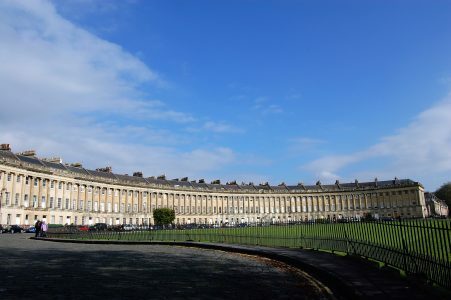 The head of HLF South West, Nerys Watts stated that one of the greatest examples of Georgian architecture, the Royal Crescent managed to stay witness to approximately 250 years of development and life in Bath. He concluded saying that thanks to National Lottery users, they are delighted to support this programme which will both celebrate this milestone anniversary and enable communities to get involved in exploring the heritage of their town. They are looking forward to the year ahead.